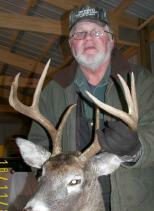 Welcome to the Northwest Wisconsin Outdoors from Hayward, Wisconsin! 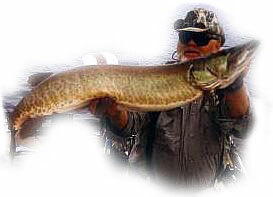 Whether you are looking for a family vacation destination or a place to enjoy the fishing or hunting here you'll find information about the Hayward area of Wisconsin. News and events for fishing, hunting, activities in the area, guide services, information on my radio show, as well as some great tips and articles, it's all here! The links on the left will take you to a wealth of information on our area and resorts! You are invited to come back often and view the updated news and articles that we will be changing all the time along with the updated fishing reports and snowmobiling reports that we offer throughout the season. 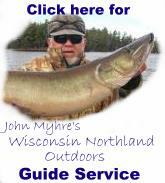 Thanks for dropping by our web site, and I hope the information helps you to better enjoy our Wisconsin Northland Outdoors! We welcome you to come up and enjoy our area as we all do. 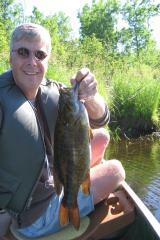 and host of the Wisconsin Northland Outdoors Radio Show."